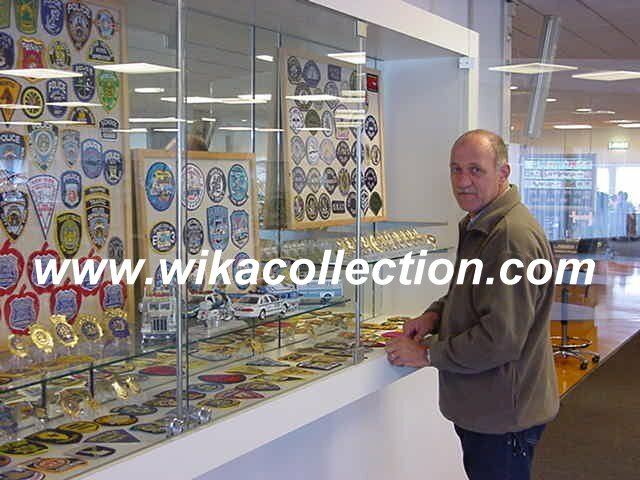 Display cabinets situated within the Dutch Police Academy building. This site was updated on 5th March 2019. Due to the size some pages may take a while to load. If you are unable to see the linked patches it could be that the server is down. 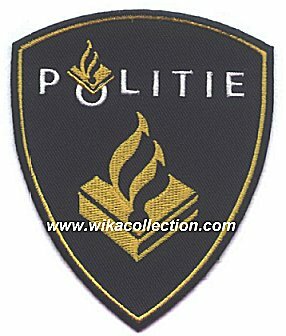 Welcome to Wim's Police Badge and Patch Collection. Hi. My name is Wim and I am a "Security Law Enforcement Officer" in this country. My wife Käthy was a police officer and had been on the force since 1971. She had the rank of sergeant and worked for the Alien Police Department. You may wonder why she had been on the force for so long. We, in this country, have to work until we have reached the pension age. That, for the most of us, is around our 65/67th birthday. Fortunately I still have 18 months to go, but every day that passes by is a day closer to my pension. I will have then been on the force for about 39 years. My lovely wife Käthy has retired from the Police Force as of the 1st of January 2015. She has served for 44 years. 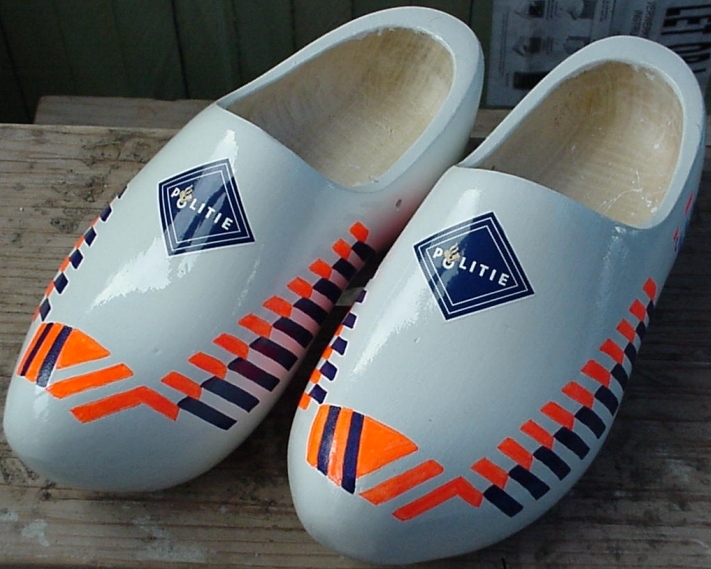 We live in the eastern part of Holland (Netherlands) and are about 45 km's from the German border. I have been collecting badges and patches for about thirty+ years now and since the internet, intensively. In the beginning one collects everything you can get hold of. At one time along the way you come to your senses and realize that you have lost count of what you have and you start to specialize. It took me quite a while to sort things out, put things to paper and later to ones own homepage. I would like to thank my wife Käthy for putting up with me for all the time I spend behind the computer compiling and updating my homepage. To Axel and Henk for the production of my banner and to Jurgen for the server space. Hey guys - Thanks. Stadsweg 27, 8084 PH. 't Harde. This is a combined meeting with Police, Army, Fire, Ambulance and Security represented. Doors open at 09.00. There is lots of space for parking at no cost. Cantine opens its doors at 08.30. I want to let everyone, who visits this page, that I am selling off my Sheriff patches. The collection has gotten so big that I have to scale down. I will however be keeping the Florida and Nevada collection. If you are interested in puchasing some of the patches please let me know. First come, first serve. Prices vary between €3/$4 and €5/$7. Pay-Pal is accepted. Badges (reproductions or otherwise stated), Hats, Helmets and Patches. All prices are ex postal costs and Pay-Pal is accepted. Please have a look at my "For Sale" page for the items. I wish to convey my sympathy to the people who lost family and friends in New York, Washington and Pennsylvania on the worst day of 2001. I pray to god that he may give you the strength to cope with the loss of your loved ones. 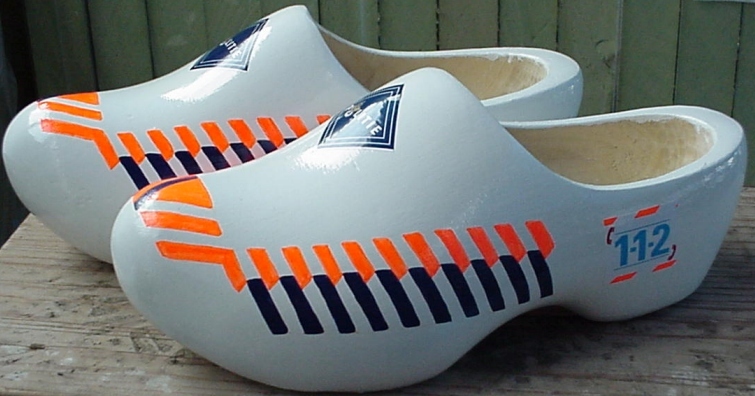 Hand painted wooden shoes in the colours of Dutch Police Cars.